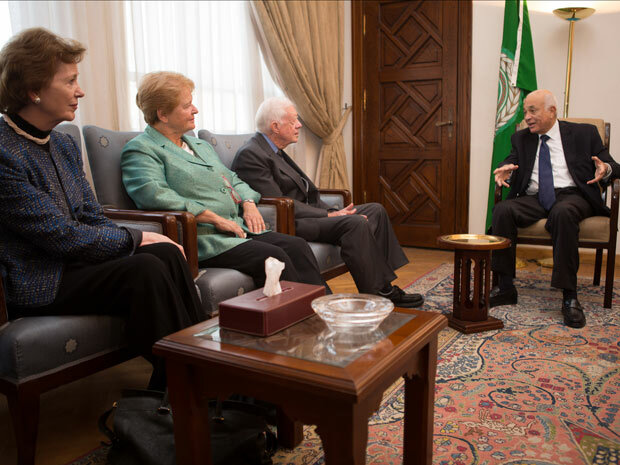 The Elders met Secretary-General of the Arab League Nabil ElAraby to discuss several issues on their agenda, from relations between Sudan and South Sudan to the threats to the two-state solution in the Middle East. Lakhdar Brahimi, member of The Elders and currently the UN and Arab League Joint Special Representative for the Syrian crisis, joined the meeting to discuss the latest developments in Syria. After meeting Nabil ElAraby, the four Elders held an impromptu press conference outside his office at Tahrir Square. 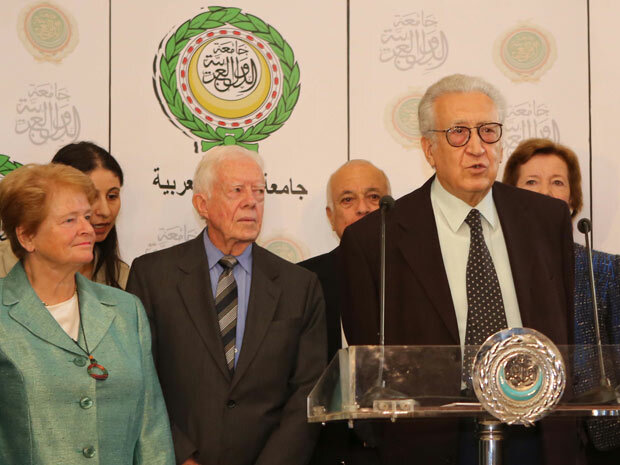 Lakhdar Brahimi confirmed to reporters that the Syrian government and many rebel groups had agreed to a ceasefire over the 4-day Eid al-Adha holiday that began that weekend. 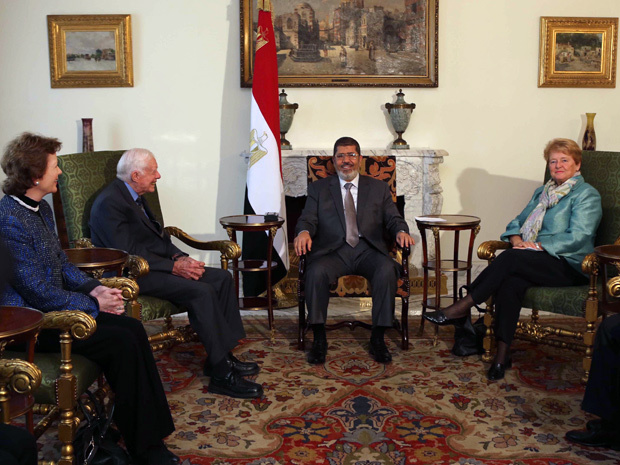 The Elders congratulated President Mohamed Morsi on the successful political transition in Egypt. 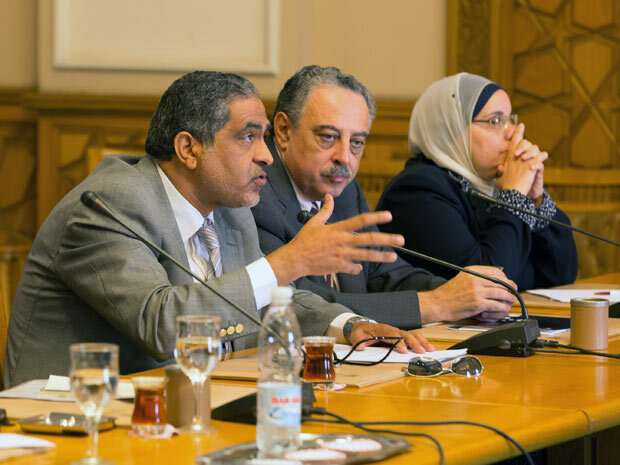 In a meeting at the President Palace in Cairo, they also emphasised the importance of ensuring that all Egyptians are included in the process of determining their country’s future. 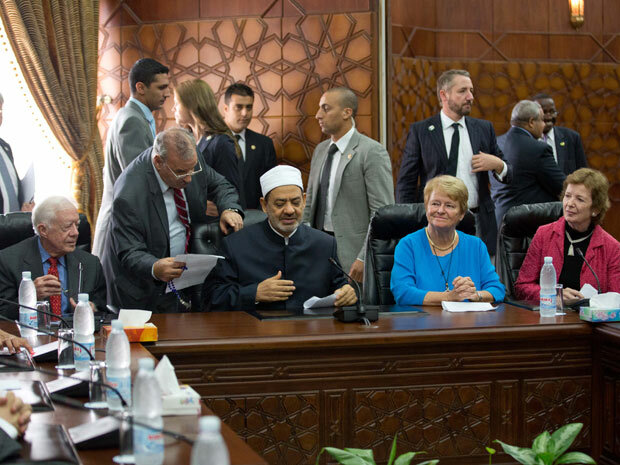 Having just travelled to Cairo from Jerusalem, the three Elders also discussed Egypt's role in the Middle East peace process with President Morsi. 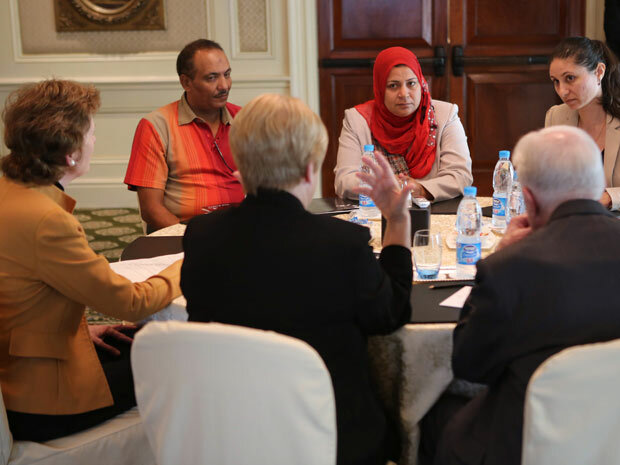 Among their meetings with Egyptian civil society, the Elders heard from Wedad Demerdash, a mill worker and union leader from the cotton-producing city of Mahalla. She told the Elders that while the revolution had brought some improvements to working conditions, workers overall did not feel that they had benefited from the political transition as much as the Muslim Brotherhood – despite the labour movement having played a key role in the popular protests that led to the end of the Mubarak regime last year. 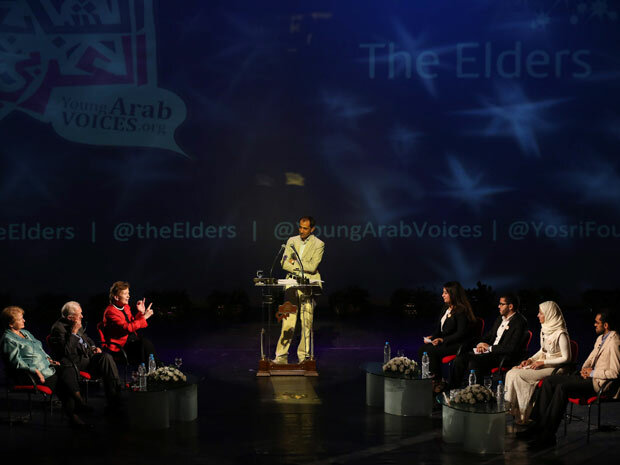 In partnership with Young Arab Voices, the Elders took part in a live, televised debate with young Egyptians at the Cairo Opera House. 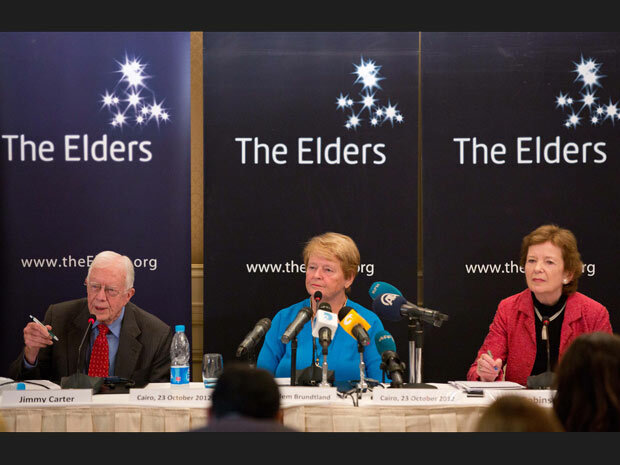 Watched by millions of people across Egypt, the Elders answered questions from audience members and Twitter users. At the end of the discussion – which ranged from Egypt’s youth unemployment crisis to its role in the Arab-Israeli conflict – Mary Robinson commended the young Egyptians in the audience for being so engaged in debating the future of their country. “It is wonderful to see there is no hesitation to stand up and speak by the young women here!” she added. Watch the video.